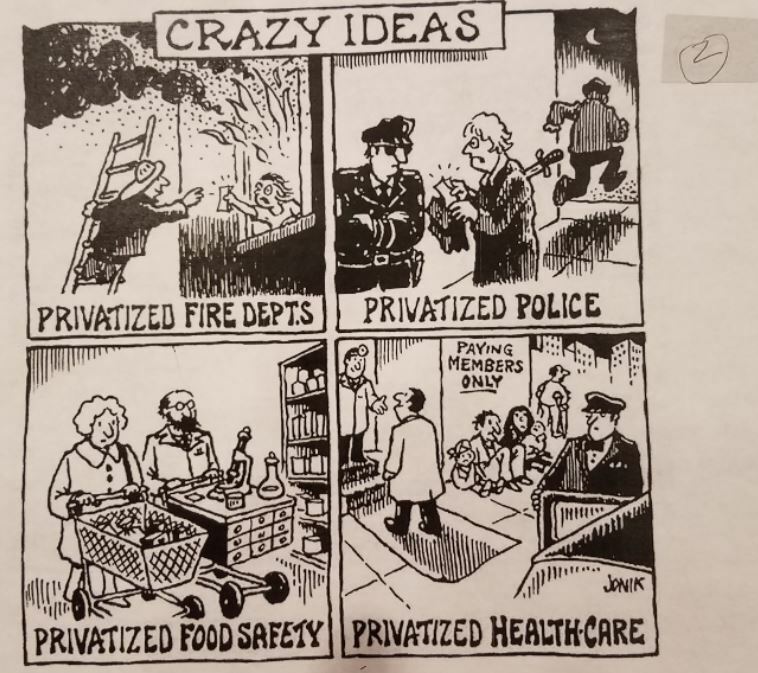 I suppose then that when I discuss “single-payer” health care (I don’t actually talk about it, but if I did …), I should hand this printout to students with the title, “Crazy Ideas” … the only thing is, when I share the “cartoon” it’s an actual representation about what happens under socialism, not some fantasy made-up version of how markets work. Perhaps what should be done for econ 101 is not covering “markets”, but teaching about institutions and collective action of the voluntary sort. Why do students join a particular club on campus? Why just not mandate one club for all students?